Professionally manufacture and wholesale 3 color screen printer,fully automatic flat round oval cylindrical bottles screen printing machine equipment. The 3 color screen printer,fully automatic flat round oval cylindrical bottles screen printing machine equipment is designed for printing 3 color on round and oval bottles such as plastic tube, cosmetic bottles, milk bottles, medical bottles, drinking bottles, pen sleeves and etc. 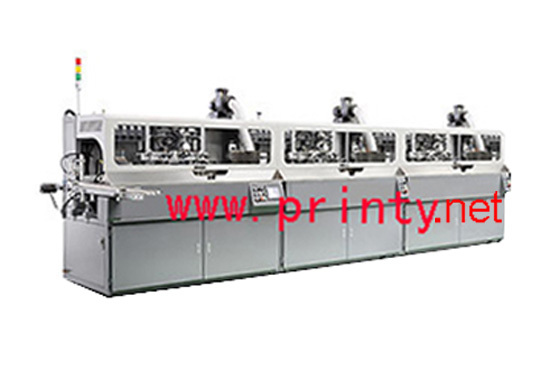 It has the advantage of steady, easy operation, high printing speed, good printing results.